Sprint Fit stock a huge range of Protein Powder Combos and Stacks from the best New Zealand and international brands. A Protein Powder supplement assists with the maintenance and building of muscle. If you’re looking to transform your body by losing body fat or building lean muscle, protein supplements will help you achieve your results faster. Protein Powders ensure you reach your daily protein intake requirements; they are convenient, fast acting and can be taken before and after workouts. 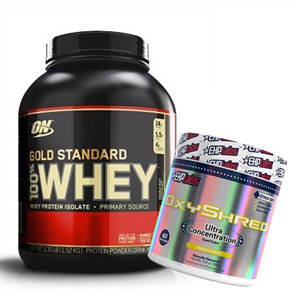 Buy Protein Powder Combos at the best prices from Sprint Fit and receive free shipping New Zealand wide.